When something goes wrong with your car or if a feature you should know about gets activated, a signal funnels through the electrical system and into the dashboard. This illuminates a hieroglyphic, and these cover a wide range of issues - some of which can be serious. In the week to come I will be talking about the meanings behind 15 or so of these curious-looking markers (and what they look like, in case you need a mnemonic device to help your memory). 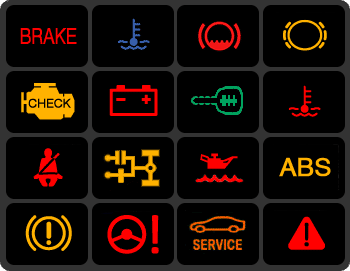 Your dashboard may be different and the symbols may have altered designs or indicate slightly different things, so be sure to consult your owner's manual. Some of these lights could portend a serious malfunction. Don't ignore them. When in doubt, give us at Ricks Auto Service here in Mishawaka, In a call and we can check it out.